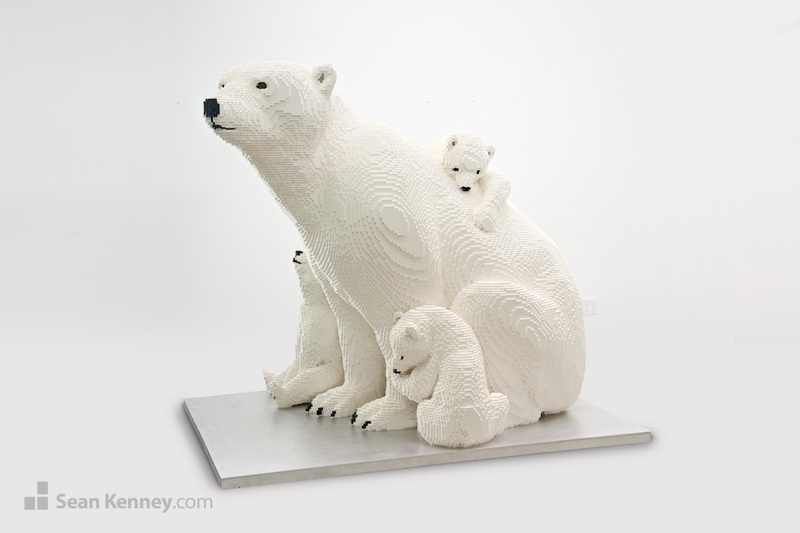 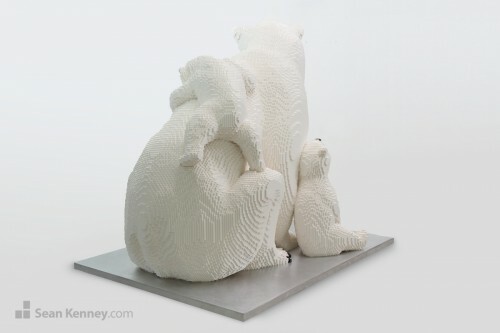 Nature Connects showcases the connections found in nature; I was touched to learn about the relationship that a mother Polar Bear has with her cubs; she raises them, teaches them to hunt, and together they have a very visible and strong love. 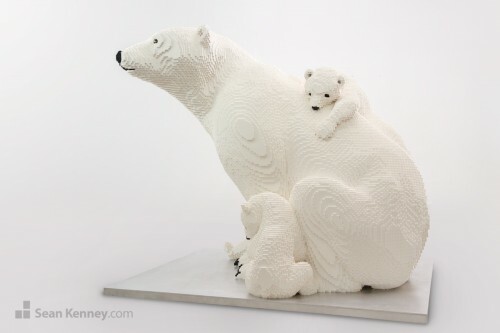 Watching videos of polar bears with their cubs, I was taken by how almost-human they seemed. 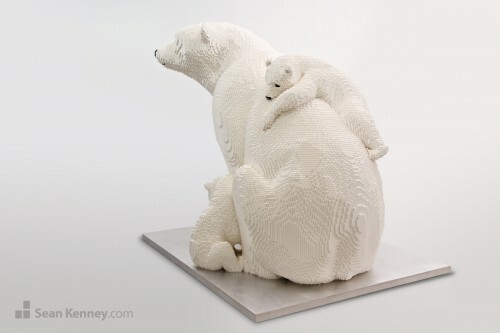 I wanted to try to capture this aspect of their lives. 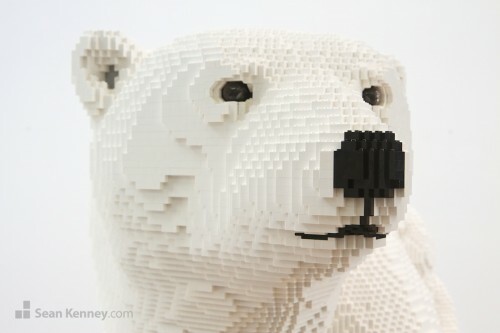 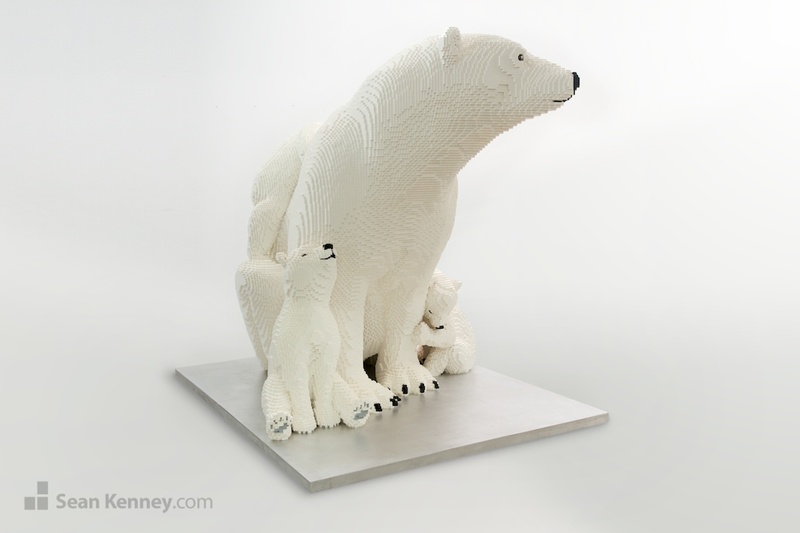 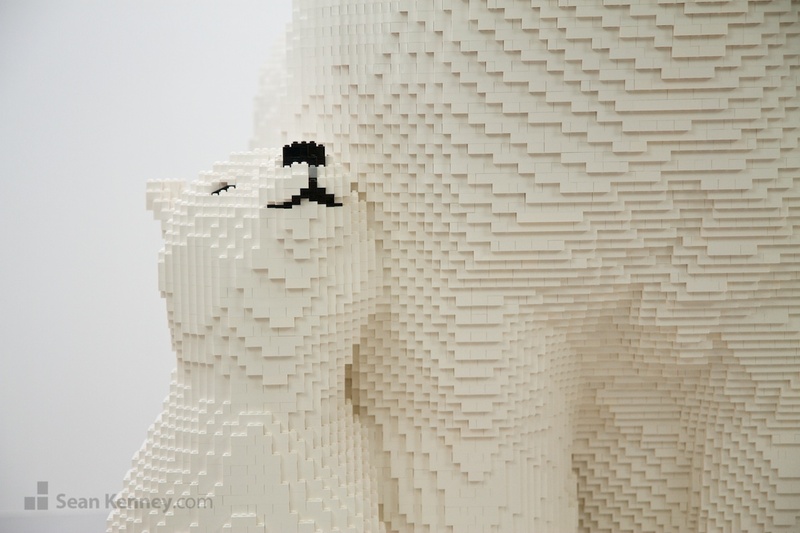 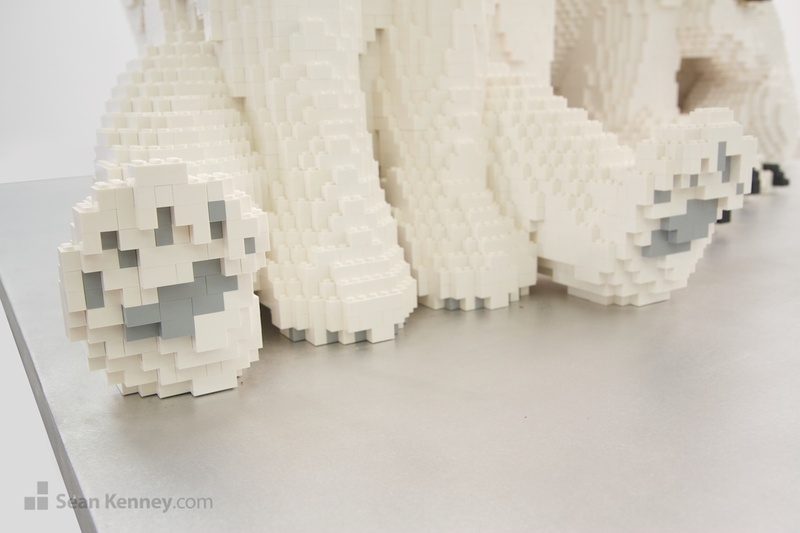 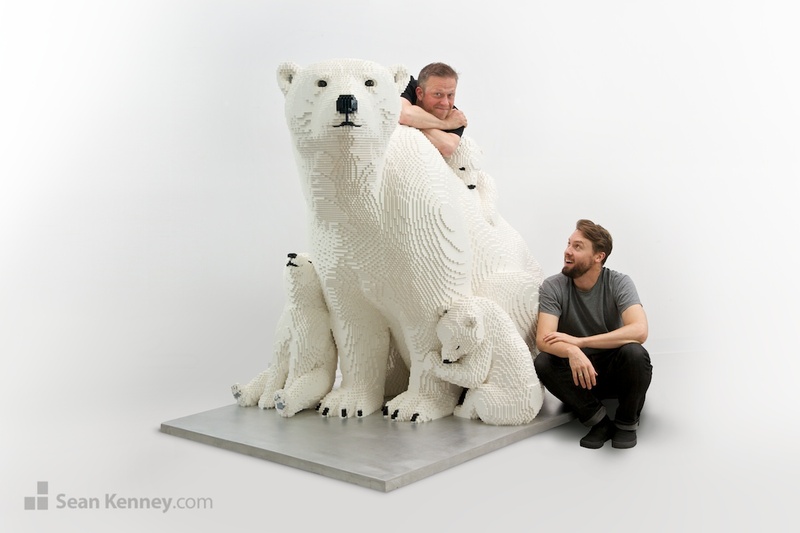 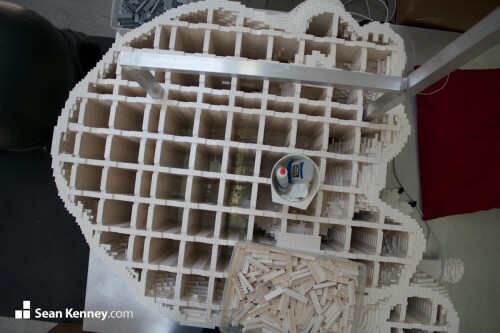 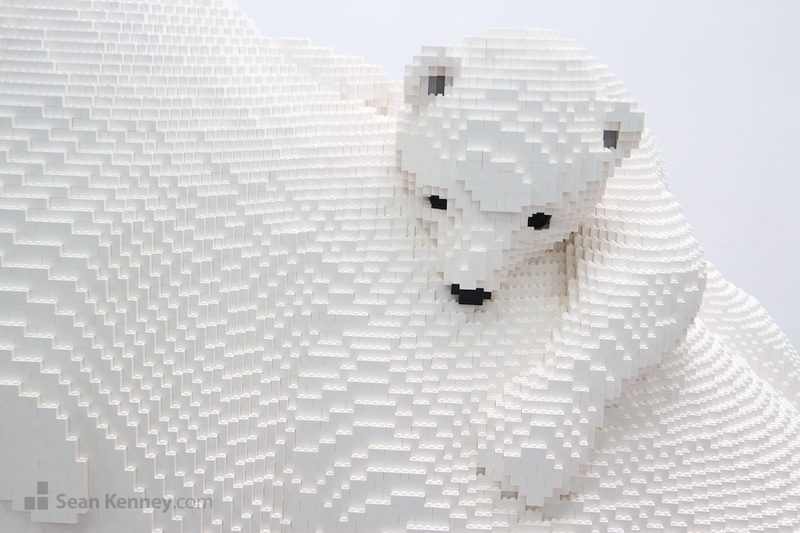 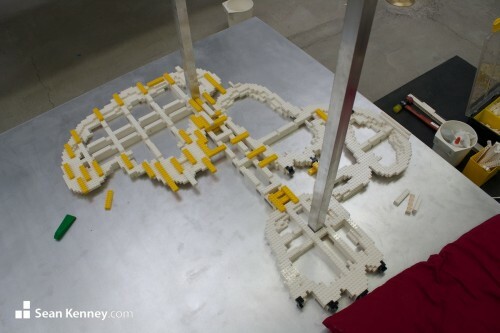 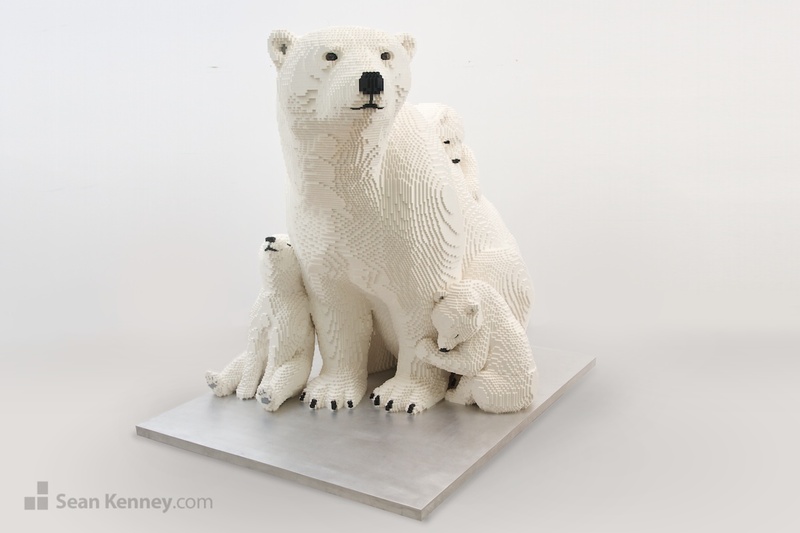 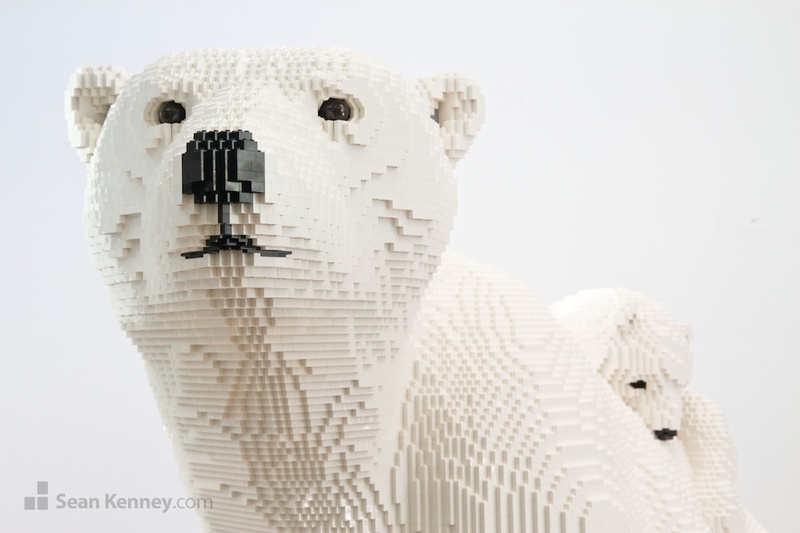 This is the largest sculpture I’ve ever created; it weighs 625 pounds (285kg) and contains over 125,000 LEGO pieces. 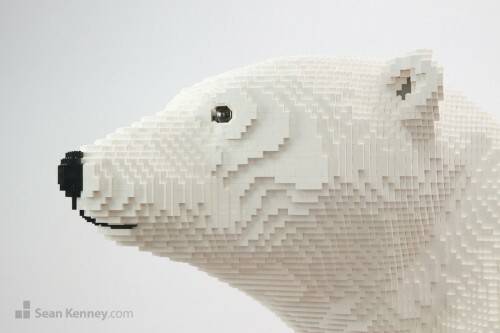 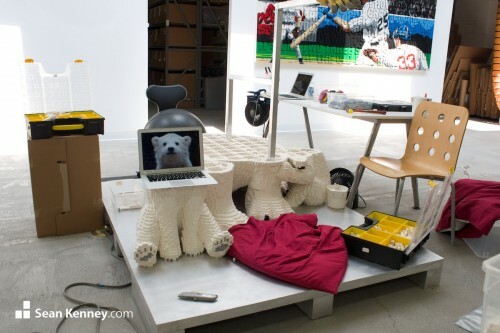 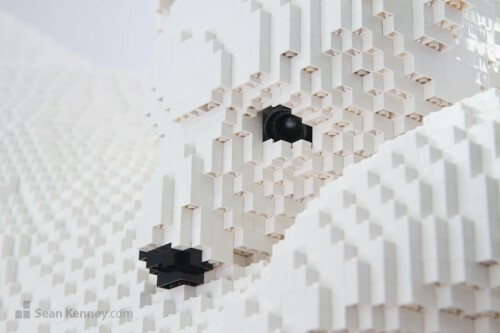 It supersedes my previous record (also a life-size Polar Bear, built in 2010). The sculpture took about 4 months to build.